THE WINNERS 2018 – ASIA TAKES IT ALL ! Through 8 categories and 1 Lifetime Achievement Award, the ITA Tunnelling Awards identifies and reward major disruptive innovations and groundbreaking projects. This edition, the event took place in Chuzhou, November the 7th, following the 20th CTUC conference (Chinese Tunnels and Underground Works Conference). After two days of presentations, case studies and technical conferences, the Awards ceremony was a successful finale and offered the audience an immersion in ancient China. 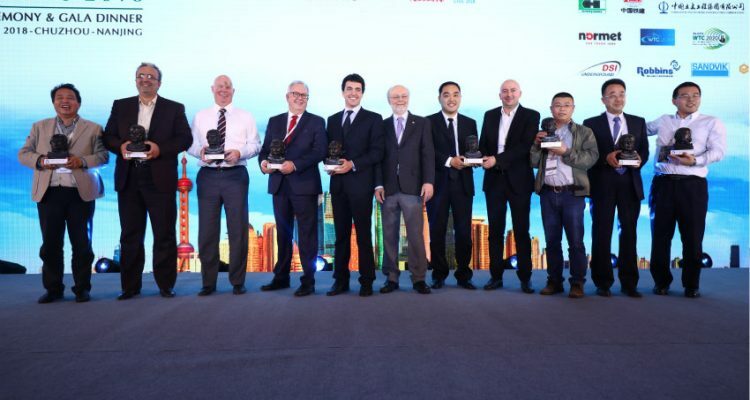 With more than 300 attendees for the 4th edition (day and ceremony), the ITA Tunnelling Awards confirms its position as a reference for recognizing major projects and innovations in the world.